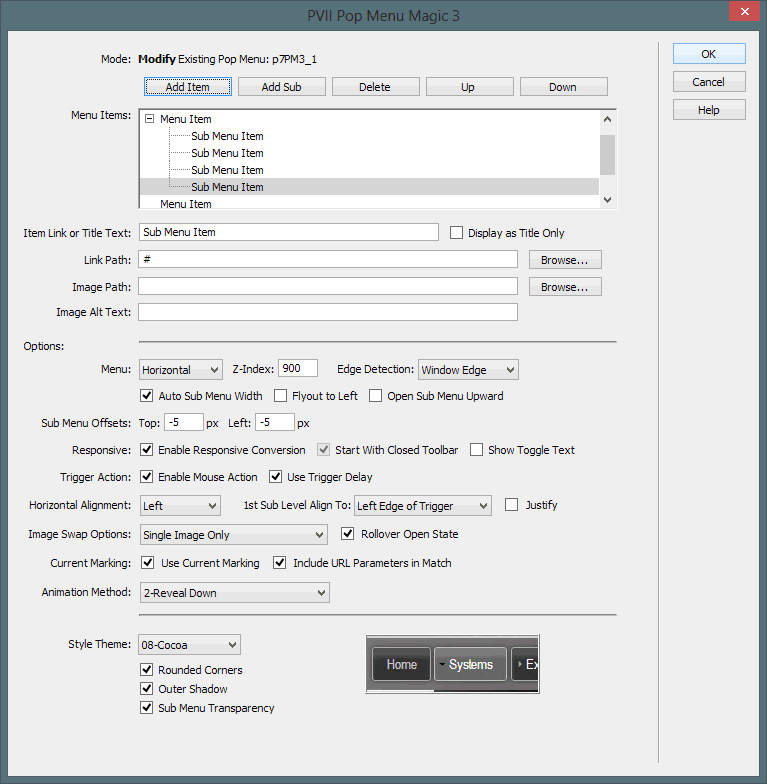 Easily enhance your Page Builder Magic 2 pages with a PMM3 multi-level menu. You can easily convert the default menu in your Page Builder Magic 2 site to a responsive multi-level Pop Menu Magic 3 menu in just a few simple steps. Let's start by converting a horizontal menu. Place your cursor inside the DIV tag and open the PMM3 interface by clicking its Insert Bar/Panel icon or from the Insert Menu. A warning will appear stating that the initializer script block was not found and system defaults will be used. 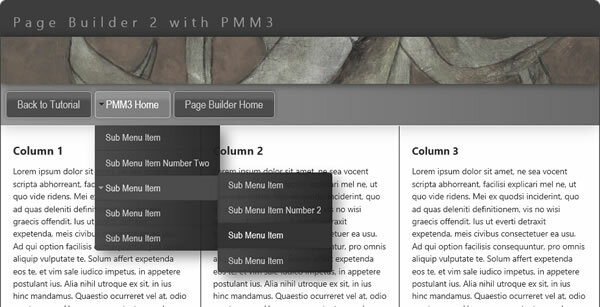 The PMM3 interface will become available and it will show all of your existing menu links. Add one or more sub-menus as required. Since Page Builder Magic 2 is a responsive design, enable (check) the Enable Responsive Conversion option. Set any other options as you like. To look good in a default Page Builder page, we recommend enabling Rounded Corners, Outer Shadow, and Sub Menu Transparency. Preview your new menu in a browser. Now that was easy!